Full Professor Michèle Breton (Management Sciences) has been elected President of the International Society of Dynamic Games (ISDG) for a renewable two-year term. Her role at the head of the ISDG includes overseeing the scientific aspects and material organization of activities, disseminating information, increasing the organization’s membership and expanding its interests into new fields of application for dynamic games. The ISDG was founded in 1990 in Helsinki, Finland, and brings together about 350 researchers in operational research and the social sciences, along with economists, mathematicians and engineers interested in dynamic game theory. It works to promote theoretical and empirical development in dynamic games and to offer a forum for researchers in the field. It organizes a symposium every two years (even-numbered years) at which the President and other Executive members are elected (12 in all), an invitation-only workshop in odd-numbered years, and an annual conference. These events draw representatives from 20 to 30 countries, and are an opportunity for members to share information on new advances in the field of dynamic games. The Group for Research in Decision Analysis (GERAD) has handled the financial management of the Society and the organization of its annual conferences for many years now. The ISDG publishes the Annals of Dynamic Games every two years, containing the most important papers presented at the symposium, in the form of a volume edited by a scientific committee chosen by the members. Other learned publications are also sponsored by the Society, including Dynamic Games and Applications and International Game Theory Review, two journals whose Editors-in-Chief are ISDG members. Michèle Breton, who has been teaching at HEC Montréal since 1977, earned a Bachelor’s degree in industrial engineering and a Master’s in operational research from the École polytechnique de Montréal, as well as a PhD in computer science from the Université de Montréal. 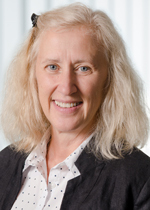 She was inducted as a Fellow of the Royal Society of Canada in 2009, and is currently Director of the Computing Laboratory in Finance and Insurance (LACFAS) and a member of GERAD and of the Réseau en recherche opérationnelle de Montréal (RROM). Her research interests range from dynamic and stochastic programming to dynamic game theory as applied to dynamic problems in management, more specifically in the finance, energy and environment sectors. Professor Breton had been ISDG Treasurer since 2006 and also its Vice-President since 2008.